True Pomegranate Power - Something New Everyday! 1. Pomegranates have been cultivated for thousands of years, and had a significant role in cultures from ancient China and India, to the societies that inhabited the shores of the Mediterranean. In fact, the pomegranate is somewhat synonymous with the latter region. Juice - quercetin, anthocyanins, vitamin C, ellagic acid, gallic acid, catechin. Seeds - linolenic acid (CLA), linolenic acid, oleic acid, punicic acid. Roots and bark - gallic acid, punicotannic acid, mannite, pelletierine, n-methylisopelletierine. 3. The outer parts of the fruit are normally consumed as extracts, whereas the juice and seeds are the parts that we usually eat and drink. 4. The antioxidants in pomegranates work in different ways to boost health and athletic performance. Depending on the intensity of a workout, our body undergoes varying degrees of stress. Muscle tissues, cells and the central nervous system are all affected. Exercise-induced stress or oxidative stress means that normal bodily functions are compromised as a result of physical exertion. This results in the release of inflammatory chemicals, increased lactic acid levels, discomfort and decreased energy. Pomegranate juice helps athletes and active adults to train with less fatigue and discomfort, so it is a popular fluid for them to drink in order to improve their workouts. So how does pomegranate juice help? The abundance of polyphenols, quercetin and nitrates found in pomegranate have been scientifically proven to improve exercise performance and muscular strength. Polyphenols are phytochemicals that are found in plant-based food sources. 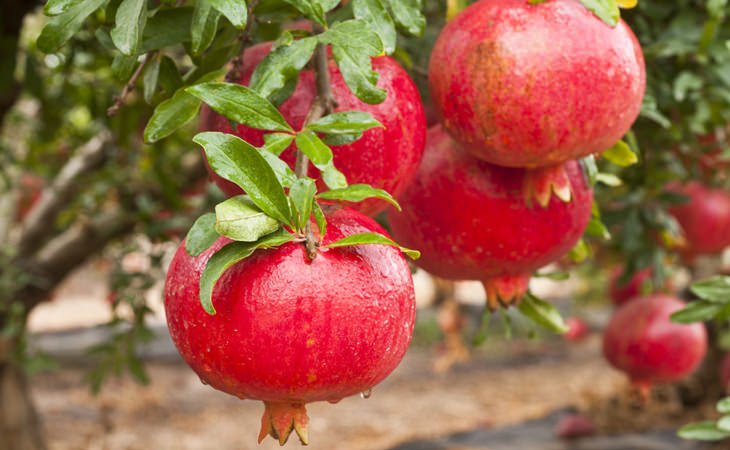 They are also known as phenolics and are what give pomegranates their vibrant color. Polyphenols reduce inflammation and protect the cardiovascular system. 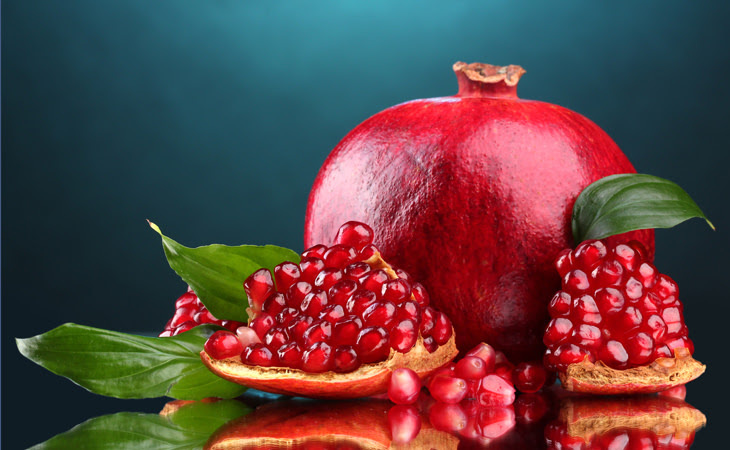 An example of a polyphenol in pomegranate juice is gallic acid, which improves muscle recovery and strength. Pomegranates are also rich in quercetin, which is a naturally-occurring bioflavonoid shown to reduce inflammation, remove toxins, and decrease bodily cellular damage. Furthermore, this substance also contributes to muscle recovery and improved exercise performance. Another nutrient that pomegranates are rich in is nitrates, which also help with athletic performance. Once consumed, nitrates turn into nitric oxide in the body. Nitric oxide dilates the blood vessels and increases oxygen delivery to working muscles, in turn having a positive impact on cardiorespiratory performance and muscle function. The athletes under observation were Olympic weightlifters. 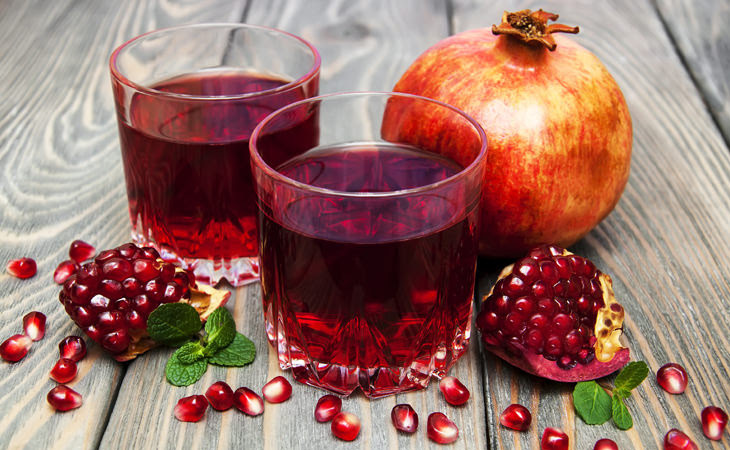 Seeing as the sport involves intense training that’s usually followed by several days of weakness and soreness, the athletes who practice it seemed like the perfect candidates to study the effect of pomegranate juice on muscle recovery. Nine elite weightlifters volunteered for the study. Eligible volunteers were required to have at least three years of training experience and train at least five times per week, with a session duration of 90-120 minutes each time. All of the selected weightlifters were in good health, free of injury and not taking antioxidants or anti-inflammatory drugs during the month prior to the testing period. Their vital signs were recorded prior to the start of the experiment, and then they were given a placebo followed by separate training using pomegranate juice supplementation. The weightlifters were made to drink 750ml of pomegranate juice two days before the research started, and continued drinking such an amount throughout its entirety. 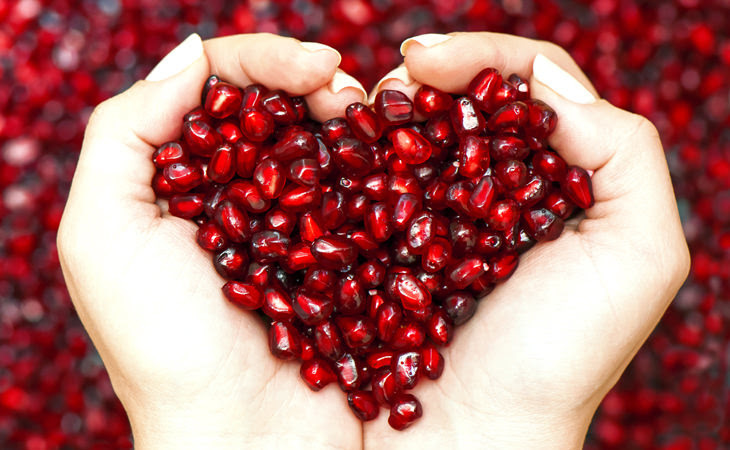 The results showed that pomegranate juice improved systolic blood pressure both during and after training. Systolic blood pressure measures the pressure in the blood vessels as the heart is beating. The juice seemed to have a positive effect on heart rate and glucose readings. It also reduced blood serum biomarkers, which are usually indicative of muscle injury when they return high values. Research has shown that the antioxidants in pomegranates inhibit cancer cell growth and the progression of both breast and prostate cancer. Seeing as it’s a rich source of polyphenols, pomegranate consumption is a much safer alternative to hormone replacement therapy, which reduces the risk of breast cancer.